The Seattle Seahawks on Thursday signed WR Tyler Slavin to a futures contract. The Seahawks signed wide receiver Tyler Slavin to a futures contract Thursday. He will become part of the team’s 90-man roster when the NFL’s league year begins March 9. Slavin was on the Seahawks’ practice squad briefly this season, signed Nov. 24 and released Dec. 1. He began his college career at Arizona and finished it at New Mexico Highlands. 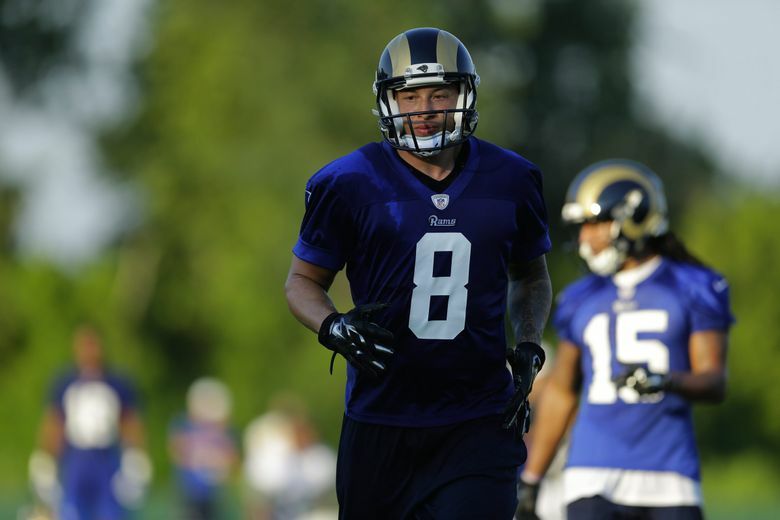 He was with the Rams in training camp and was released before the season. Slavin originally is from Corona, Calif., and undoubtedly was seen as a high-school player by Seahawks coach Pete Carroll when he was at USC. The Seahawks have signed 17 players to futures contracts since the end of the season. That list includes every player who was on the practice squad at the end of the season — practice squads exist only during the regular season and playoffs, so the team must re-sign those players to futures deals to keep them. The 6-foot-1, 210-pound Slavin is one of four receivers the Seahawks have signed since the end of the season, all of whom spent at least some time on the team’s practice squad in 2015. The others are DeShon Foxx, Antwan Goodley and Douglas McNeil III. Slavin might be best-known for catching the winning touchdown in Arizona’s remarkable 49-48 win over Nevada in the 2012 New Mexico Bowl.